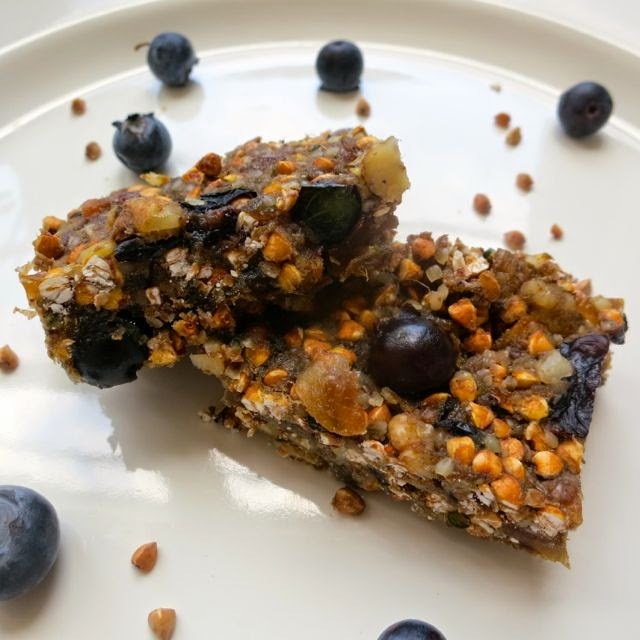 As I was reviewing Brandon Brazier's new cookbook, Thrive Energy Cookbook , I had the pleasure of making his Blueberry Buckwheat Energy Bars, which turned out to be pretty good. These bars are ideal for sustaining physical activity. 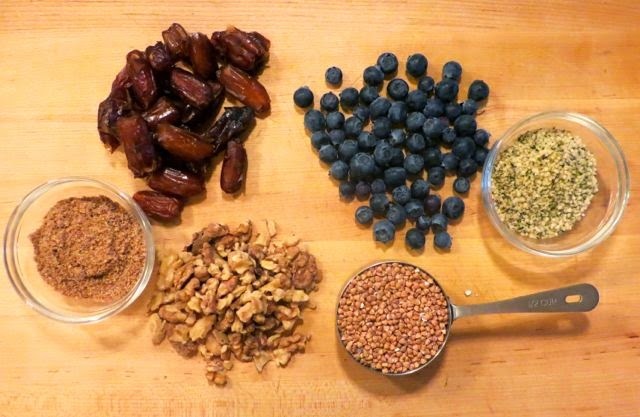 The dates, which are primarily glucose, provide immediate energy and the combination of these ingredients including fresh blueberries, raw nuts, and buckwheat result in a functional, sustainable energy bar. I did have trouble getting the bars to stay together, but the ones that did tasted great, and the ones that didn't, still tasted great as crumbles. In a food processor, combine the dates, blueberries, walnuts, flaxseed, hemp seeds, protein powder, palm sugar, and salt to taste. Process until desired texture is reached The less you process, the crunchier the bar will be. 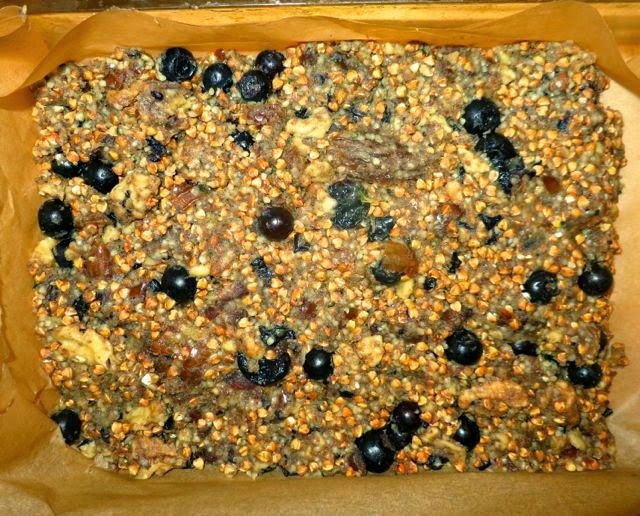 Transfer the mixture to a bowl and knead in the buckwheat, chopped walnuts, and blueberries with your hands. Press into a baking dish lined with parchment paper, refrigerate for 5 hours, and slice into bars.